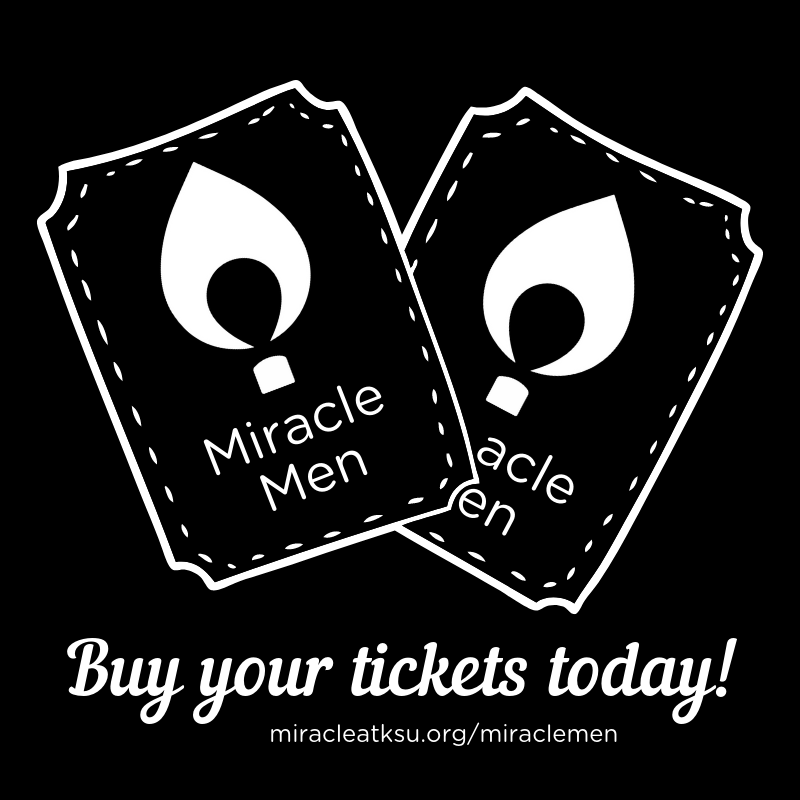 Miracle at KSU’s male pageant is back and better than ever! Our event will be held Thursday, February 7 at 7:00pm in the UV Rooms. Tickets are $5 until February 3. Prices will increase to $8 on February 4. Screenshot your transaction receipt and save it to show us at the event. We will not keep a list of Venmo transactions. Click this link and purchase your ticket. Save a your email receipt to show us at the door. We will have a list of online transactions to confirm your ticket purchase at the door. We also have a Special Guest in our lineup… attend the event to find out who! See you on Feb 7!